Starwood Group teamed up with Aeroméxico to promote this FAM trip with luxury travel agencies from Brazil that had already sold our destinations. 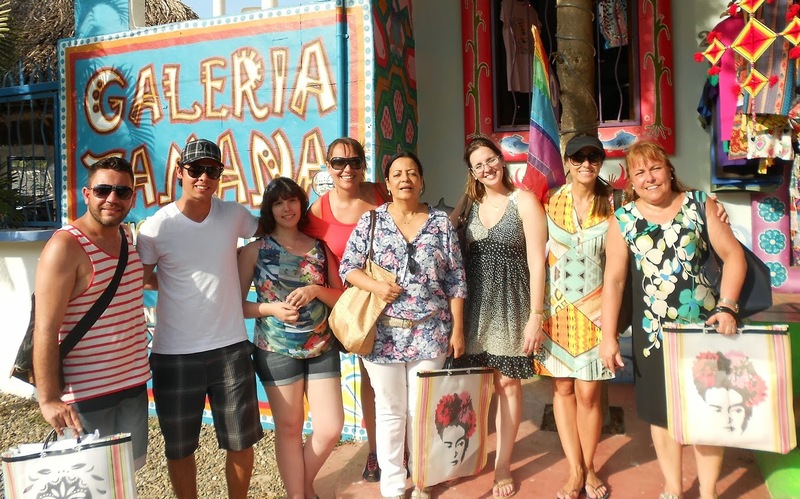 The Riviera Nayarit Convention and Visitors Bureau (CVB) took part in the FAM trip put together by the Starwood Group and Aeroméxico to promote the Riviera Nayarit and Puerto Vallarta among six Brazilian luxury travel agencies from December 10 – 14. All of these agencies are major producers of luxury travel and most have already sent clients to the destination; now that they know the destination for themselves, they will be able to send over even more couples and families. 75 percent of these agencies are in the Virtuoso network, an indicator of the quality of their customer base. Araci Barroso Mello of Faro Turismo, Joana Sofia Nunes from Alatur, Carolina Lopes from Monumento Turismo, Deyves Dias from GSP Travel, Gabriel Leite from Teresa Perez, Rosana Barres from Queensbery were our guests under the guidance of Aeroméxico’s Karina Nascimento and Starwood’s Camila Julliao. Among the many activities they enjoyed at the St. Regis Punta Mita Resort were three of the hotel’s signature rituals, two of them emblematic of the Punta Mita property—the Tequila Ritual and the Fish of the Day Ritual—as well as the Champagne Ritual, performed in St. Regis properties around the world. As for culinary pursuits, the St. Regis Punta Mita pampered the agents with an haute cuisine tasting in Carolina, their 5-star restaurant. The Riviera Nayarit CVB also took them to Don Pedro’s in Sayulita, where they couldn’t leave without tasting the famous chocobananas. When it comes to luxury, relaxation is key. To that end, they enjoyed a SPA treatment at Reméde Spa and a beachfront yoga session. During their visit to Puerto Vallarta they stayed at the Westin Resorts & SPA. They toured the Cuale River Island, the Romantic Zone, the public art displays on the boardwalk by the sea, the Cerro and the art galleries. As usual, the Marietas Islands were a must for the Riviera Nayarit; they also took part in the Marine Safari headed by Punta Mita Expeditions and visited the Pacífica and Bahía golf courses in Punta Mita, which left them speechless. The promotion to Brazil is constant and directed at different segments; visits from guests from this Amazonian country are expected to be on the rise, as attested by early numbers.